For five years I taught eighth grade math in – what I like to refer to as – my pre-Teachers Pay Teachers era. I had great relationships with students, delivered instruction in my own unique way, and facilitated student learning. I worked really hard and considered myself a good teacher. Then I was introduced to Teachers Pay Teachers. I was completely in awe of all of the amazing resources being created by and shared with teachers around the country – even the world! Suddenly my go-to methods for practicing math skills didn’t seem to have the “wow factor” I once thought they did. Maybe you’ve heard it before. You’ll definitely hear it again. Teachers Pay Teachers inspired me to grow, to improve, to keep learning. I have become a better teacher thanks to TpT. 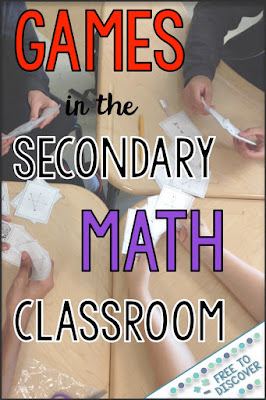 I have always used games as a way to review math concepts. However, TpT has challenged me to make them better: more meaningful, relevant, and attractive. I feel great about the games we play in class. My students are also more likely to buy in when the game has a polished look, clear instructions, and directly relates to the skills they have been learning in class. I have refined many of my own games that are available at Free to Discover. There are also some wonderful games from other sellers that I would like to highlight in this post. Created by Amanda from Free to Discover. 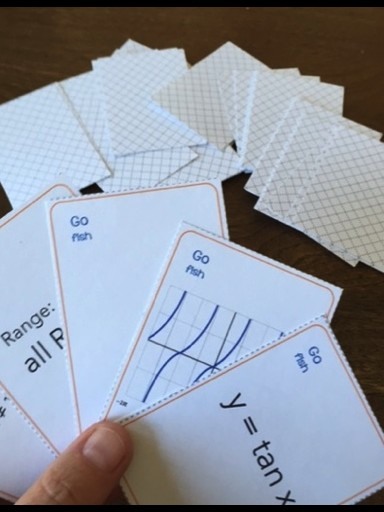 Old Math Guy is a game I created that is modeled after the traditional card game “Old Maid.” Students play as a group as they look for “matches.” In the Graphing Inequalities edition, students try to match each inequality with its corresponding number line graph. 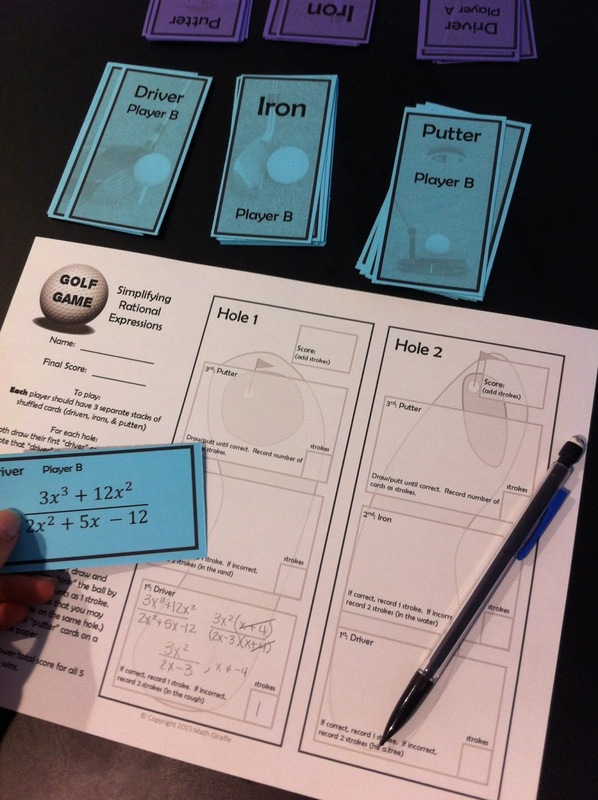 The Old Math Guy card provides added fun and excitement as students try to avoid getting stuck with it at the end of the game. My eighth grade students love this! I currently have two other editions available: Matching Linear Graphs to Equations in Slope Intercept Form and Matching Input and Output of Functions. I now have an updated look for my old math guys thanks to Sarah Pecorino Illustration. Created by Sandy from Weatherly. “It is important that students in higher math classes commit certain concepts to memory. Games like this help them do just that, without resorting to boring flash cards or repetitious copy work. Played like the game of “GO Fish,” this small group activity gives students an opportunity to review the six trigonometric functions and identify the equation, graph, domain, range and period of each. Created by Brigid from Math Giraffe. 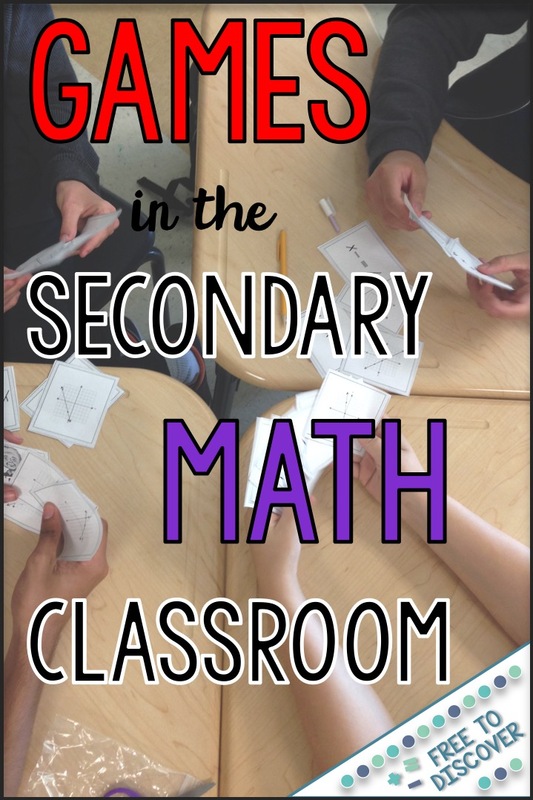 I would love to hear about other games you have created or are you using in your secondary math classroom. Please comment below to share your ideas!